Everybody wants to be an entrepreneur these days. Because running your own business means you can be your own boss, this means that you can also decide your own working hours; and typically, the higher profits you rake in, the higher your salary. Sounds very attractive, but the life of an entrepreneur is really not a walk in the park. But venturing online is a great way to test waters – it offers incredible scalability, limitless freedom, low overhead and high margins, and above all, access to a worldwide market to help you expand customer reach. Moreover, statistics have shown that online retail sales will surge to $3 billion this year, and ecommerce is expected to make up 6.7% of all retail sales by 2025. So if you are keen on going dot com, Shoptiq is a great platform for you to build your own online store – and all it takes is just 30 minutes of your time! But for those unacquainted, Shoptiq is an ecommerce solution that allows you to connect your online store seamlessly with pre-built integration to local logistics partners, marketplaces and run your online advertising easily. In case you’re wondering if it’s a marathon, don’t worry, there’s no physical running will be involved. 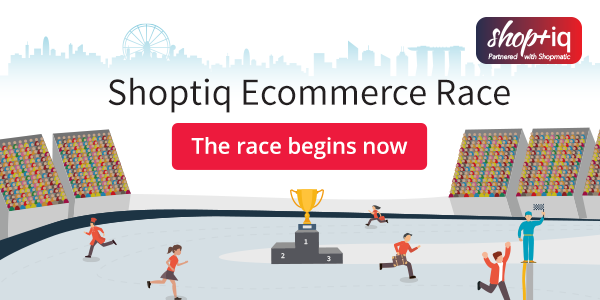 It is the first Shoptiq Ecommerce Race where aspiring entrepreneurs and established small business owners come together and sell on Shoptiq to compete for the ecommerce champion title. The race will start from 1 October 2017 to 31 March 2018. All participants will have to self-nominate themselves into the respective race category: New Online Business (no prior experience/6 or less months experience selling online), and Established Online Business (more than 6 months experience selling online). Upon a successful sign-up, all participants will receive a digital race pack, which comprise of ecommerce materials to help you stay ahead of the race. For the digital race pack, it comes with free 10 professional product image credits from ProductPixels, a race map, and race eBook. 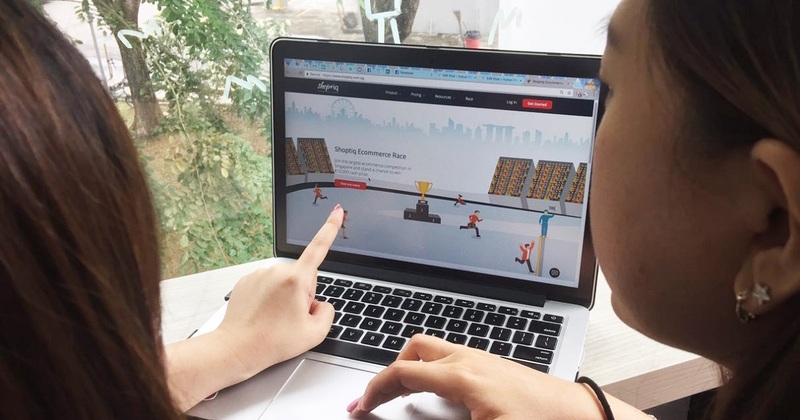 On top of that, Shoptiq’s partner for the race, Easyship, is also giving out $10 worth of delivery credits to all participants. Easyship is a one-stop logistics-tech company providing shipping solutions from major couriers like DHL, FedEx and UPS. Customers also get to enjoy discounts of up to 70% for delivery fees, and the platform also helps to generate shipping labels and documents (like custom invoices and declarations) – saving you from the often-confusing administrative processes. Race participants can also take a break along the race by joining the ‘hydration points’, i.e. free ecommerce workshops across multiple e-commerce topics, such as Google Adwords, Search Engine Optimisation, Email marketing and etc. So if you think you got what it takes to be the next Jack Ma, you can register your interest here!